When individuals learn about private health insurance for the first time, they can often encounter a variety of new terms — some of which are clear, while others are vague. Although a number of terms in the field are widely used globally, Australians would want to understand such terms in relation to the private health insurance practices in their country. Presented below are some of the relevant terms used in the Australian private health insurance sector. These are non-traditional treatments that some private health insurance companies now recognize and offer benefits for. Also known as “complementary therapies” or “natural therapies”, alternative therapies usually encompass acupuncture, aromatherapy, hypnotherapy, reflexology, homeopathy, and naturopathy among others. This term refers to the maximum health insurance benefit that a member is entitled to annually. While the majority of approved treatments have annual limits, the total amount of benefits varies per treatment or per insurance health policy. However, for new members, the annual limit only becomes valid and applicable after certain waiting periods. The sum funded by the private health insurer for a specific treatment or service is called benefit. While the Australian Government decides on the minimum coverage amount of the insurance company, the charges levied by the insurer may be different. If, in such a case, the insurance provider bills more than the benefit amount, the client would need to pay the difference out-of-pocket. Different from an excess, a co-payment is designed to decrease premiums on private health insurance. It is a fixed amount that a client agrees to pay for admission to a private room in a private or public hospital; however, there is no co-payment when the client shares a hospital room with other patients. Where applicable, the total amount to be paid would be listed in the client’s policy documents. In the field of health insurance, a dependent is generally a child or full-time student, under the age of 25, who lives with and is under the care of the main insurance policy member. For older dependents, some health insurance companies pose varying age-limits and additional requirements. Not all clients will have dependents. An excess, unlike a co-payment, is paid every single time that a client or their dependent is admitted to a hospital, regardless of the type of room (private or shared) they occupied. The amount will depend upon the insurance policy and the level of cover selected; however, like co-payments, a higher excess would imply a lower premium. Exclusions refer to medical conditions and procedures that are not covered by the health insurance policy, and will therefore not be paid for by the insurer. Specific exclusions would vary according to the insurance company as well as the level of coverage selected by the client. When selecting private health insurance, exclusions should be well-noted to ensure that the client is ready to pay out-of-pocket for specific coverage exemptions. This can be a standalone product or an add-on to an existing private health insurance, with the products including dental, optical, physiotherapy, and pharmacy benefits. Getting extras cover is especially useful when an individual’s standard health insurance policy or Medicare does not cover all healthcare procedures. A gap is the difference between the fees charged by the healthcare provider and the amount that the insurer pays, as determined by the Medicare Benefits Schedule (MBS). The computed difference is payable to the client, out-of-pocket. To keep out-of-pocket healthcare costs to a minimum, some private insurance companies offer an add-on called gap cover. This is a type of health insurance that specifically covers the majority of the total cost associated with treatment and accommodation in a hospital as a private patient. Hospital coverage includes surgery, in-patient treatment and appliances (if needed), as well as room costs. A Medicare Levy Surcharge (MLS) is a tax imposed by the Australian Government on high-income earners who have not procured any hospital cover from a private insurance company. Designed to relieve the burden on Medicare, this surcharge only applies to individuals or families earning above a set annual threshold. 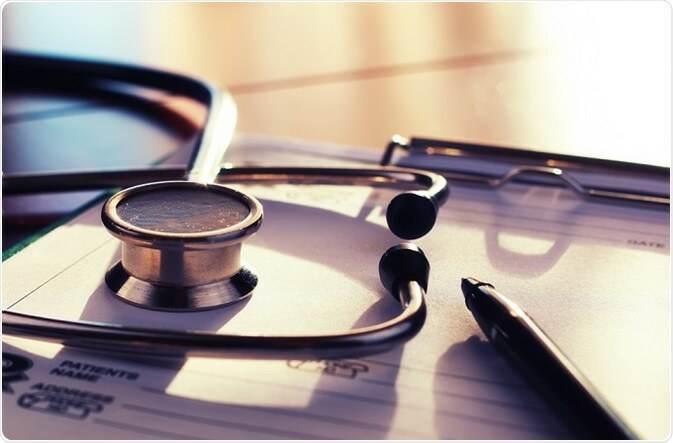 These are illnesses or medical conditions which, in the view of an insurer-appointed healthcare practitioner, the client has presented signs or symptoms of within the 6 months prior to acquiring private health insurance. These conditions could either be omitted from the cover or be given restrictions on available benefits. The Australian Government may provide a rebate on the cost of private health insurance. This applies to qualified individuals and families whose eligibility has been determined through an income test. The rebate amount is dependent on the client’s income level and age bracket, and it could be applied either as a discount on health insurance premiums or an offset against the client’s annual tax submission. This refers to the amount of time that new members have to wait before being entitled to specific benefits. This facilitation of a waiting period is legally allowed by the Australian Government. While waiting periods commonly apply to new members, clients who opt to change health insurers or their level of coverage may also sometimes be bound by a waiting period.